1. 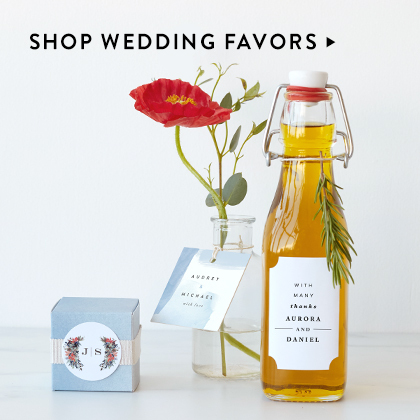 For the most part, wedding invitations are assembled in size order, with each card placed face up and the largest card on the bottom. Start with the invitation card. 2. 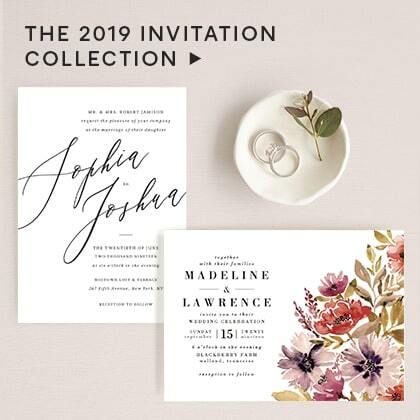 If a sheet of tissue paper came in between each invitation, it’s your choice whether to include it or not (traditionally, the tissue was used to prevent the ink from smearing). 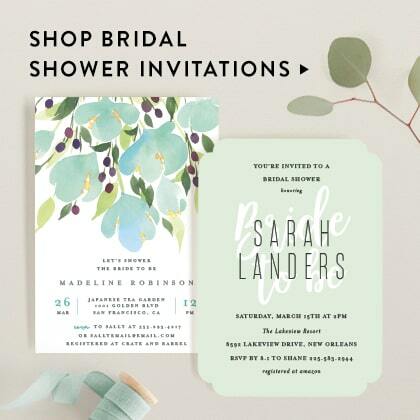 If you’d like to include it, place the sheet of tissue on top of the invitation card. 3. Next, place the wedding reception card face up on top of the invitation card. 4. Place the remaining enclosure cards—i.e., map card or hotel accommodations card—face up on top of the reception card. 6. If the main wedding invitation is a folded card, place enclosures within the folded invitation (not on top). 7. 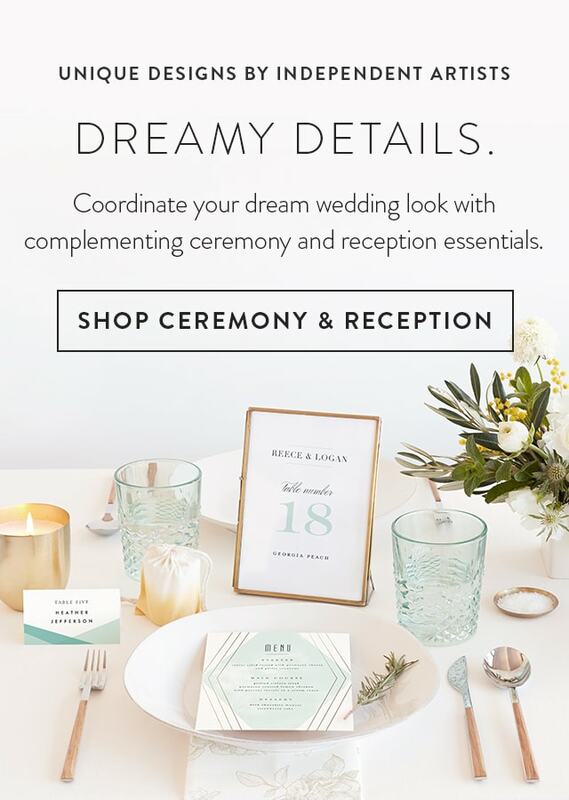 If you’re using two envelopes—an inner envelope (printed with your wedding guests’ names) and outer envelope (printed with guests’ names and address)—insert the fully assembled invitation suite into the inner envelope (left edge first for a single-card invitation; folded edge first for a folded invitation). 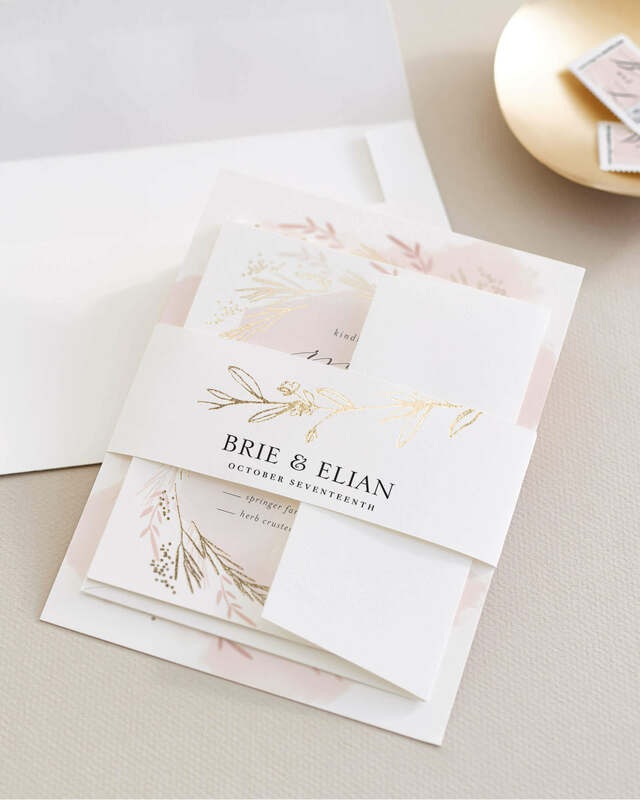 Leave the inner envelope unsealed; when the flap is opened, guests should be able to read the invitation as they take it out without having to turn the card. Traditionally, calligraphy is used for the inner and outer envelopes; if you’re hiring a calligrapher, be sure to get your envelopes to him or her at least two to three weeks before your need them. 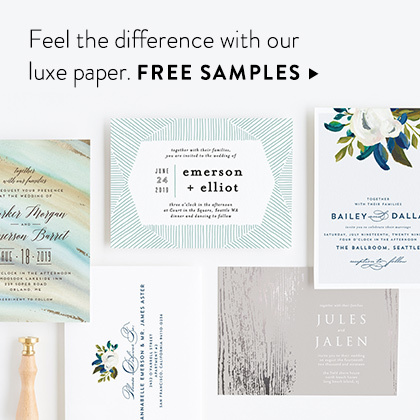 Alternatively, you could skip the calligraphy and save time by having your stationer print the names and addresses directly on the envelopes. 8. 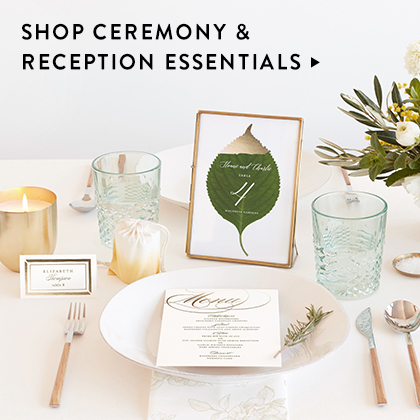 If you’re using just one envelope—an outer envelope—insert the fully assembled invitation suite into the envelope (left edge first for a single-card invitation; folded edge first for a folded invitation). Again, when the flap is opened, guests should be able to read the invitation as they take it out without having to turn the card. 9. Use a bottled envelope moistener to wet the gummed edge of your outer envelopes; be careful not to use too much—you don’t want soggy, puckered envelopes. After you’ve sealed all the envelopes; place a heavy book or two on top of the stack to ensure all of the are securely sealed. 10. 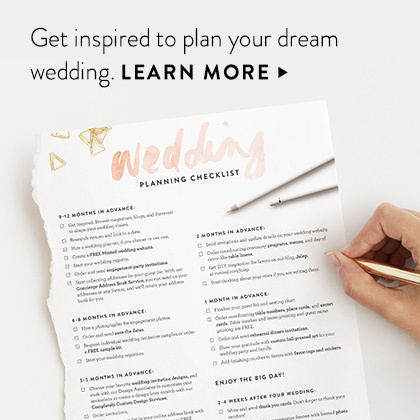 Before you mail your wedding invitations, bring a fully assembled set to the post office and ask them to weigh it so you know exactly how much postage you’ll need. Once all your envelopes have been stamped with sufficient postage, we recommend bringing them to the post office to be hand canceled (instead of dropping them in a mailbox)—this will reduce the risk of your invitations being damaged in the mail. 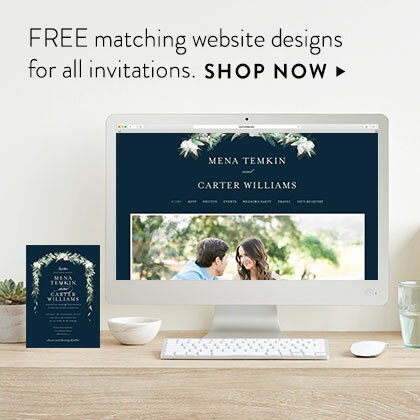 Learn how to word your wedding invitations here. The perfect color palette. Read more.